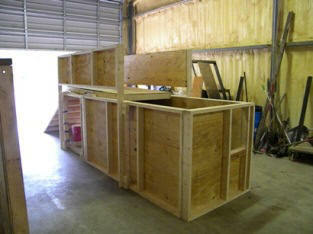 The Training Academy features a full array of training props to provide our customers with the training they desire. Today's training requires diversity and challenges. Our Training Academy strives to provide these needs to all of our customers. This patent-pending door system provides the ability to force left or right-handed, opening in or opening out doors, metal or wood jambs. The Administration Building houses the Training Academy offices and features two classrooms. The Drill Tower, constructed by WHP Training Towers, is a four story steel structure that features a burn room, standpipe, sprinkler system, peaked roof prop, anchor systems for rappelling and shaft that run all four stories. Constructed in 2008, the burn room utilizes a Pagonite tile system to line the inner walls and provides a safe, yet realistic live fire training environment. This thermal lining system allows the Training Academy to conduct Class A live fire training. Using straw as the Class A fuel produces conditions in the burn room similar to those Firefighters encounter in actual structure fires. The Flashover Chamber, produced by Phoenix Fire Simulators, provides a safe environment for Firefighters to learn about fire behavior. 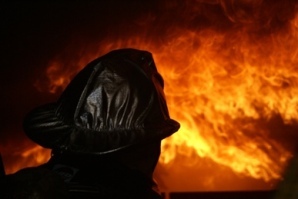 The ability to recognize pre-flashover conditions is paramount for interior structural firefighting. Firefighters are exposed to the stages of fire growth leading up to rollover and flashover conditions. The lessons learned in the chamber translate to safety on the fire ground. 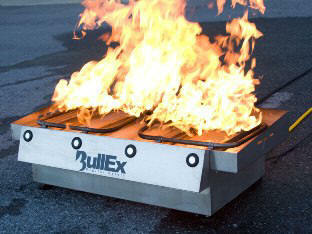 A multipurpose pad designed to enhance a Firefighters skill when combating flammable liquid and vehicle fires. 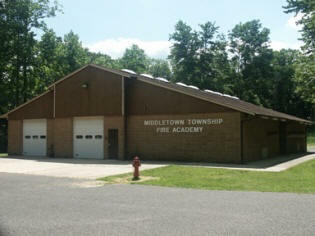 The pad is also used for motor vehicle extrication training. Designed to challenge the most seasoned of Firefighters, reduced profile scenarios lurk around each corner of the course. Comprised of multiple levels that includes a rafter crawl, corrugated piping, entanglement hazards and wall breach, Firefighters will hone their skills while training on this prop. These props were designed to provide Firefighters with the ability to perform vertical ventilation techniques in a realistic yet safe manner. Featuring peaked and flat roofs, the roof props allow Firefighters to use power saws without the risk of leaving the ground. The props are easily maintained and allow for repeated use. The Friction Force, produced by Red barn Innovations, is designed for repeated use of forcible entry techniques. Constructed of heavy gauge steel and reinforced in key areas. 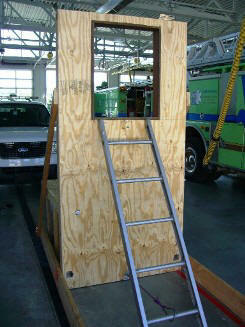 this prop will provide continuous challenges for Firefighters. 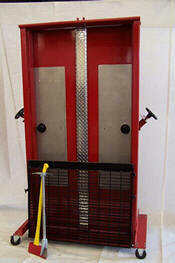 This prop uses a hardened steel vice and simulates wood frame and commercial steel door strength doors. This window simulator can be used as a safe alternative to performing bailouts. Train your members on the ground level before ascending to the upper floors of a tower. Designed by fellow fire service Instructor Dale Pekel (Wisconsin) this prop is portable, easy to assemble and has an endless number of practical uses. Designed to be used in the hands on portion of the Calling the MAYDAY course, this prop will test the skills of your firefighters when they fall through the floor and become trapped. Using a simple cantilever design firefighters will quickly find themselves in a foam pit and be forced to transmit the MAYDAY. The Bullex Intelligent Extinguisher Training System is designed to allow for safe, clean and easy portable fire extinguisher training. This prop utilizes propane to simulate flammable liquid fires in a controlled setting. The system allows the instructor to ensure the proper technique is used by all of the students. 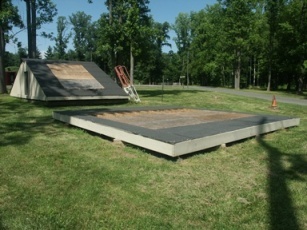 The grounds at the Training Academy suit many needs for the fire service. Featuring long paved roadways and a drafting pond, the grounds are perfect for a secure, safe location to perform driver's training, pump operations and master stream device operations.